Everyone still with me? We still good? Tight? Thick as thieves? Ready for one more delicious giveaway? Birthday month wouldn't be birthday month without chocolate. I mean, HELLO? Birthdays and chocolate are practically synonymous, if not totally, so let's go out with a bang. Chocolate is one of my most favourite indulgences. I know. BIG SURPRISE there. In saying this, because I like you all so much and want to show you what a good friend I can be AM, I'm treating you to one of my favourites. So, who's up to noshing on $75 worth of fabulous Lindt Chocolate? I know, it's such an imposition to ask of you. Oh, and not to pressure you, but Easter is coming up. You know all those lush chocolate bunnies in their gorgeous golden attire that are just asking to have their ears nibbled off? You could create your own little colony of bunnies. Zero judgement here. If that doesn't tickle your fancy, there's always beautiful bags of Lindor truffles or bars of silky, velvety chocolate goodness. Wanna win? Follow Rafflecopter prompts for your chance to. If you live in Canada, you'll receive a $75 gift card to use at a local Lindt/Sprungli Chocolatier retailer. NOTE: If you happen to live in an area that doesn't have a boutique close to you should you win, I'll be happy to arrange something with you (see below). Canadian residents will also need to answer a skill-testing question. If you live outside of Canada, you will receive $75 worth of Lindt/Sprungli chocolate. Don't worry, I'll make sure you are sent things you enjoy and not just stuff I'd eat. Contest will run from Thursday, February 26th to Thursday, March 5th and is open to - ah, what the heck, WORLDWIDE, friends. WORLD. WIDE. Chocolate is the language of love. Let's spread joy and happiness to all, except void where prohibited and must be of legal age to win. Sorry. Even I have limitations. No purchase required to win. Oh, and THIS fudge, friends. 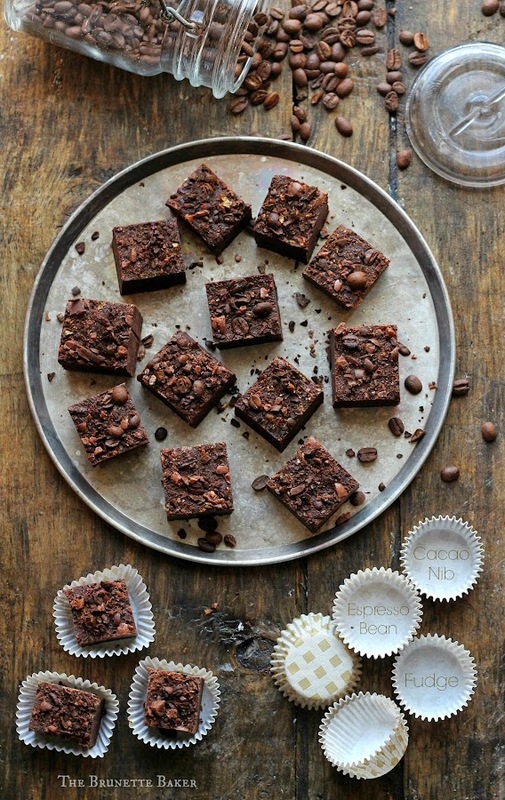 *You can absolutely use chocolate chips for this recipe. Just make sure to use a quality chip. Prepare an 8-inch square baking dish by lining with aluminum foil. In a large, heat-safe bowl, add in chopped chocolate, marshmallow creme, vanilla, espresso powder, and pinch of salt; set aside. In a medium saucepan, warm up milk slightly, then add sugar. Crank heat to medium-high and bring sugar mixture to a full boil, stirring constantly. Once mixture is at a full boil, reduce heat to medium and continue with a steady, rolling boil. If you have a candy thermometer, it should reach 235º. If you don't have one, clock watch and boil for 7-8 minutes, but NO LONGER than 8 minutes. Trust me, it's not as scary as you think. If you can brown butter, you can so do this. I believe in you! Once desired time or temperature has been reached, remove from heat and add butter. Stir only until incorporated. Immediately pour sugar mixture into chocolate mixture. Do not scrape the bottom or sides of the saucepan when doing so or you'll end up with awful crystallized sugar bits in your fudge. Just pour as much as you can into the chocolate. Using a wooden spoon, stir mixture until all components are fully incorporated and melted. Pour into prepared baking dish, using an offset spatula to ensure an even surface. Generously sprinkle cacao nibs and crushed espresso beans over top and place in refrigerator to firm up; about two hours. Once chilled, remove foil from bottom and cut into bite-sized pieces. Disclosure - I received this generous gift card courtesy of friends at Lindt/Sprungli (Thanks Elizabeth!) As always, I will not endorse products I don't believe in or do not use myself. Any and all opinions are always my own. My favourites were always the Lindor truffles! 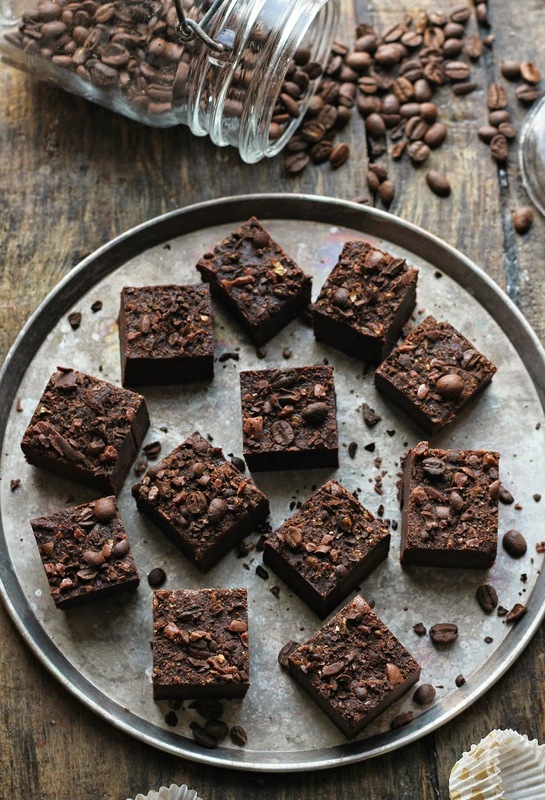 I've heard that cacao nibs are healthy - so hurray to you for making a healthy fudge recipe!!! I love their darrrrrrk dark choc! I used to be obsessed with their truffles too, they used to be such a treat for me. I love the Lindt Lindor truffles! I'm not sure which one is my favorite! I'll take them all! The milk chocolate Lindor truffles in the shiny red wrappers. My all-time fave!! I love the truffles! I wish I could have several varieties for an assortment. I love the Lindt Lindor truffles. I'm a big fan of dark chocolate but I can never resist those white chocolate Lindt truffles. I love Lindt dark chocolate! I love the LINDT boxed chocolate with a variety of options. I like the extra dark chocolate truffles. I love the Dark chocolate truffles. I love milk chocolate but I really love their cookies and cream Hello bar. So, so good. I love the Classic milk chocolate. I love the milk chocolates with the creamy centers. I just tried the new caramel ones and they were delicious! Mt favorite are the truffles, but I have never had a Lindt product that wouldn't at least be in the running!!! My favorite is the White Chocolate Truffle bar! I like their Caramel Truffles. I like the Caramel with a Touch of Sea Salt bar.